For many people, finding a good car which can fulfill the needs of their entire family is essential. Whether this be because they have a lot of children, they wish to go on lots of trips, they enjoy nature, or because they have a fascination with cars and work towards buying the cars of their dreams, it is important that all of us own a good-functioning car. Some people enjoy using their cars for long road trips, which makes the car’s comfort a priority, especially if one wants to sleep. In a YouTube video, a couple compares three different models of Teslas to see which one is the most comfortable to sleep in. This couple tested three models of Tesla vehicles to see which one was the most comfortable. They used the same mattress in each and set the car settings to the same thing in each vehicle tested. The Tesla Model S has a slightly non-flat floor in the backseat. According to the couple, sleeping in it was “not nearly as comfortable as the X.” They go on to explain that, if they were to change their position in the Model S or if the car were to drive on a hill, it would greatly impact their ability to sleep. The unevenness of the backseat made it very difficult to sleep, and made sleeping feel as though they were on a hill. They also mention that it was impossible to straighten their legs completely. 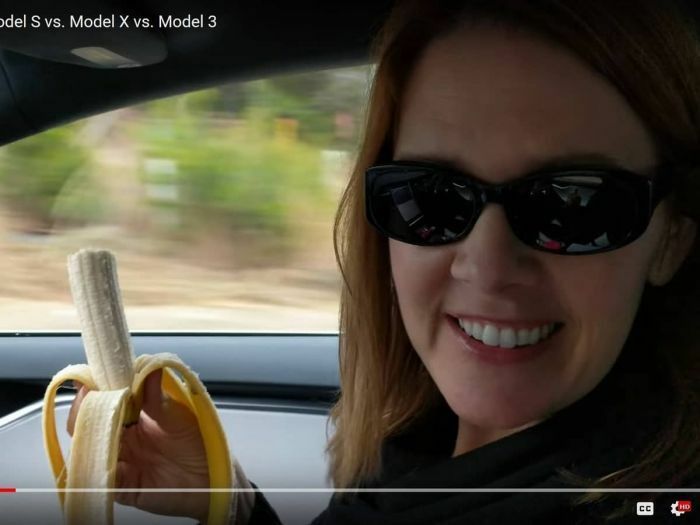 When asked to rate Model S for camping, the woman in the video gave it a 7 out of 10. The Model X was given a rating of 10 out of 10. She states that the experience of sleeping in the Model X was perfect, at least as perfect as sleeping in a car can be. The man said that he believes the Tesla Model 3 has seats that fold completely flat, but it does not have a liftback or hatchback, therefore it folds into the trunk of the car. This leaves very little head room. Tesla Model X: Model X is the safest, quickest, most capable SUV ever - with standard all-wheel drive, best in class storage and seating for up to seven adults. Tesla Model S: Model S is the safest, quickest car on the road - with industry-leading performance, range, and storage. Tesla Model 3: Designed to attain the highest safety ratings in every category, Model 3 achieves 220 miles of range while starting at only $35,000 before incentives. Model 3 is a smaller, simpler, more affordable electric car. Although it is our newest vehicle, Model 3 is not “Version 3” or the most advanced Tesla. Like Model S, it is designed to be the safest car in its class. Comparing to some other vehicles, surprisingly, MINI camping options are cozy and fun for wilderness adventures or tailgating in style. Also don't miss this 2016 Honda HR-V lake camping adventure if you like camping in a car. Overall, the couple recommends that, if one wants a car in which they can sleep, to buy a Tesla Model X with a completely flat backseat. Do you have a car which you think is comfortable to sleep in? Please let us know what you recommend in the comments.